Through the use of micro technology, intrusion detection now fits in the palm of your hand. 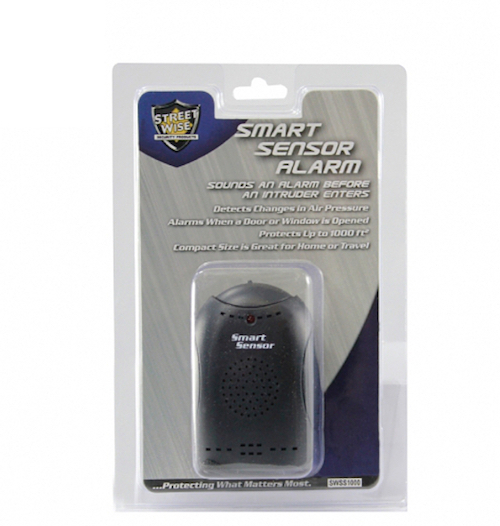 The 2.5" tall Smart Sensor Volumetric Alarm protects your home, business, hotel, or dorm room and instantly sounds an alarm at the first sign of an intruder. This high tech security device constantly monitors the air pressure inside any closed space up to 1000 square feet. Should an intruder open a door or window (or break the window) the alarm will instantly sound to scare off the intruder and alert you to the attempted entry. Unlike most alarm devices on the market today that sound an alarm only after the intruder has entered, the Smart Sensor alarms while the intruder is still outside; keeping them away from your property and loved ones. 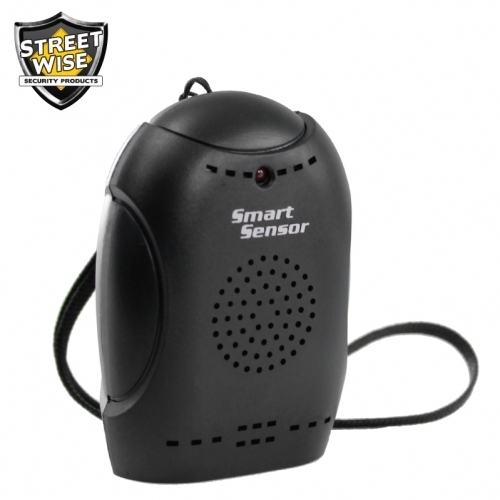 Another unique feature of the Smart Sensor is that the movement of pets and people inside does not set off the alarm which is the biggest disadvantage of motion detection alarms. Three settings (High, Medium, Low) allow you to select the sensitivity that is best for your application.